Tondel, F., Knaepen, H., Wyk, L.-A. van 2015. 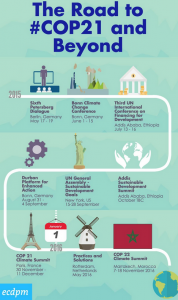 Africa and Europe combatting climate change: Towards a common agenda in 2015. (Discussion Paper 177). Maastricht: ECDPM. 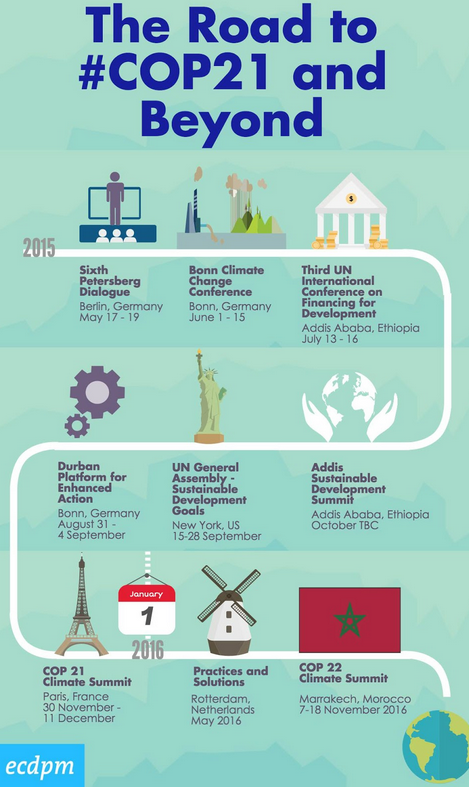 With only six months left, the 2015 UN Climate Change Conference in Paris (COP21) is fast approaching. Despite promising progress in recent years, the negotiations of a new agreement to keep the dangers of climate change at bay still face many technical and political hurdles, and are plagued with divisions among countries. Europe has remained at the forefront of these negotiations and has helped to their progress. A changing global context, however, and the EU’s own limitations have diminished its leadership. Yet, the EU’s willingness to adopt a more flexible approach to emissions cuts, show that the EU can perhaps still play a big role at COP21. The Africa Group, with its sheer size and improving coordination, has become an increasingly influential actor in the negotiations. Climate change is officially on the priority list of joint actions between Africa and the EU. The dialogue framed by the Joint Africa-EU Strategy (JAES) has illustrated how an interregional partnership could spur change at the multilateral level. Within the JAES framework, Africa and the EU have undertaken mitigation and adaptation initiatives at a practical level. Both parties have eventually reached a common position on the global greenhouse gas emissions target. However, the climate component of the JAES has, in a number of areas, struggled to meet its objectives. Diverging views of African and EU actors and internal divisions were important reasons for rendering the dialogue ineffective. A broader and deeper dialogue on climate change between Africa and the EU could offer solutions and compromises that break some of the deadlocks in the UN negotiations in Paris and in the post-2015 period. African and EU stakeholders can foster further reflection on the “equity principle” and on how to put it into practice, taking into account different national circumstances and capabilities. 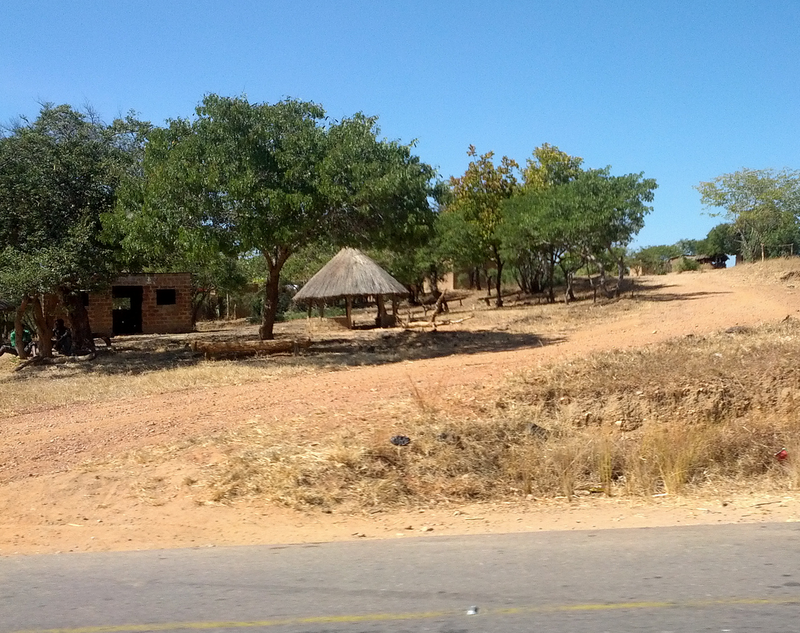 The Africa-EU dialogue could yield balanced contributions to the debate on differentiation in mitigation commitments in the post-2020 climate regime, beyond the developed-versus-developing countries mindset. They can also support a timely process of submissions. Africa and the EU can jointly advocate for more global attention towards adaptation. The experience of the JAES with adaptation and the process of National Adaptation Plans could inform the dialogue on adaptation planning and needs assessment at the UNFCCC. Africa and the EU can undertake a dialogue on adaptation finance effectiveness on the basis of their long-time joint experience in development and adaptation in vulnerable areas (including under the JAES).